Claim Back PPI & Be HAPPI! 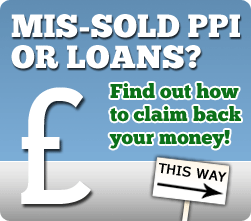 | PPI Claims - It's Your Money, Get it Back! strict warning: Non-static method view::load() should not be called statically in /var/www/vhosts/iamhappi.com/httpdocs/sites/all/modules/views/views.module on line 879.
strict warning: Declaration of views_handler_filter::options_validate() should be compatible with views_handler::options_validate($form, &$form_state) in /var/www/vhosts/iamhappi.com/httpdocs/sites/all/modules/views/handlers/views_handler_filter.inc on line 17.
strict warning: Declaration of views_handler_filter::options_submit() should be compatible with views_handler::options_submit($form, &$form_state) in /var/www/vhosts/iamhappi.com/httpdocs/sites/all/modules/views/handlers/views_handler_filter.inc on line 17.
strict warning: Declaration of views_handler_filter_boolean_operator::value_validate() should be compatible with views_handler_filter::value_validate($form, &$form_state) in /var/www/vhosts/iamhappi.com/httpdocs/sites/all/modules/views/handlers/views_handler_filter_boolean_operator.inc on line 13.
strict warning: Declaration of views_plugin_style_default::options() should be compatible with views_object::options() in /var/www/vhosts/iamhappi.com/httpdocs/sites/all/modules/views/plugins/views_plugin_style_default.inc on line 14.
strict warning: Declaration of views_plugin_row::options_validate() should be compatible with views_plugin::options_validate(&$form, &$form_state) in /var/www/vhosts/iamhappi.com/httpdocs/sites/all/modules/views/plugins/views_plugin_row.inc on line 25.
strict warning: Declaration of views_plugin_row::options_submit() should be compatible with views_plugin::options_submit(&$form, &$form_state) in /var/www/vhosts/iamhappi.com/httpdocs/sites/all/modules/views/plugins/views_plugin_row.inc on line 25.
strict warning: Declaration of views_handler_argument::init() should be compatible with views_handler::init(&$view, $options) in /var/www/vhosts/iamhappi.com/httpdocs/sites/all/modules/views/handlers/views_handler_argument.inc on line 33. How Much PPI Will I Get? ITS PPI BANK ROBBERY ON A HUGE SCALE! The Banks have announced in May 2011 following the substantial failure in the High Court not to challenge the FSAs review on how Banks should have sold PPI to avoid ppi mis-selling on a vast scale. The banks are now beginning to “apologise” for their role in mis-selling payment protection insurance. There are many ways to contact us to take action. Your claim could be worth £THOUSANDS contact us to find out. We operate a NO WIN NO FEE PPI Claim service so you have nothing to lose. I AM HAPPI are a professional firms of solcitors who do not ask for any upfront charges. BE CAREFUL as some "claims companies" may request an up front fee. Some of these "claims companies" are no longer trading and clients run the risk of losing their money. Cut out the middle man and go straight to Solicitors. Do not risk losing your money twice.